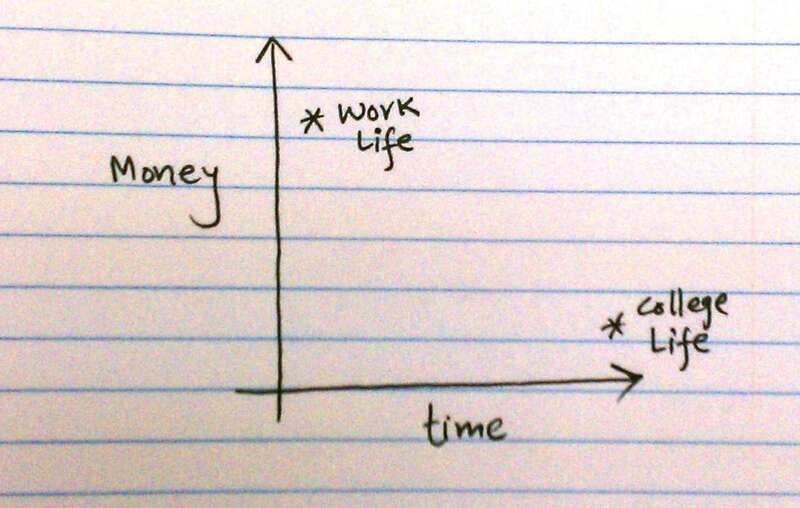 lets graph:: college life VS work life ! college life VS work life ! As the quote goes; this is so true! When you are young, you have time and age, but no money.. When you are middle aged, you have money and age, but no time.. When you are aged, you have time and money, but no...you know what! I think the college time dot would be even further out at a jr. college.